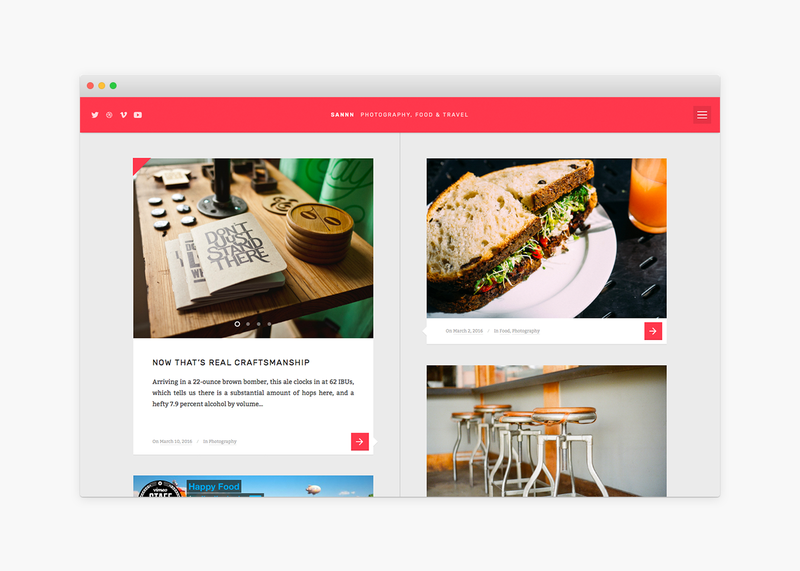 Meet Sannn, a super clean & handsome timeline oriented tumblog style WordPress theme ideal for bloggers, photographers, digital artists, musicians and … basically everyone with a story to tell. Sannn is a follow up to the popular Sann theme, which was the first of it’s kind: a timeline oriented tumblog style WordPress theme. The original Sann theme was released in 2013. Now it’s back: bigger, better and smoother. If you’re on the lookout for a well designed, well coded and well structured theme for your content: look no further, Sannn is a great match for any type of content. Wether it’s text, photographs, digital art, audio or video: Sannn will make your content shine.